Court Approves AT&T’s Merger With Time WarnerThe decision is likely to spur a wave of other mergers throughout the (already heavily consolidated) media industry. How Payoffs to Apple Got a Chipmaker a $1.2 Billion FineThe EU slaps chipmaker Qualcomm with a hefty fine for paying Apple to be its exclusive supplier. Can Facebook and Google Be Disrupted?Or have they grown too big for unpopularity? The Pro-Antitrust Congressman From Monopoly-Friendly Silicon ValleyRising Democratic star Ro Khanna is one of the loudest voices on antitrust — while coming from one of the most monopoly-friendly districts in the U.S.
6 Ways to Fix Silicon Valley, Open Up the Internet, and Save the Middle ClassStop Facebook from spying on us, don’t let Amazon sell groceries, and jail executives who collude to lower workers’ pay. Keith Ellison Wants to Know Exactly How Bad Mergers Have Been for the PublicA day after Aetna and CVS announce their intent to merge, the newly formed “Antitrust Caucus” is pushing its first bill. Google Fined $2.7 Billion by the EUThe new ruling could change how tech companies operate overseas. Is Facebook a Monopoly? 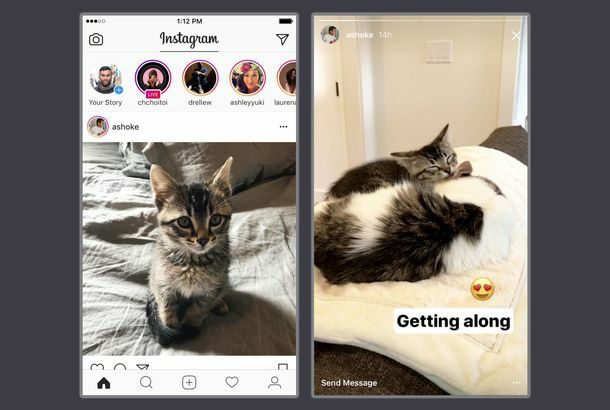 Just Ask SnapchatInstagram’s Stories are now more popular than the app it ripped off. Aetna to Feds: Give Us Our Merger or Obamacare Gets ItThe Obama administration rejected the merger anyway. Aetna exited Obamacare in 11 states this week. Seamless-GrubHub Delivery Juggernaut Agrees to End Exclusivity ArrangementsDinner checks and balances in action. U.S. Not Screwing Around in Google Antitrust Investigation The F.T.C. has hired a big-shot outside lawyer. U.S. Sues Apple, Publishers Over E-book PricesAs threatened, the Justice Department filed their antitrust suit. Apple, Publishers Getting Sued Because E-Books Are a Rip-OffThe Justice Department is planning an antitrust case. Google Hires Big (Lobbying) Guns for Antitrust FightGuess everyone’s just jealous they don’t have a carving station in their cafeteria or free everything. Google Doesn’t Sound Very Sorry It Pushed Down Competitors’ Search ResultsBut it should be. Europe Has a Problem With Google’s Total Internet DominationThe European Commission launches an antitrust investigation into Google.